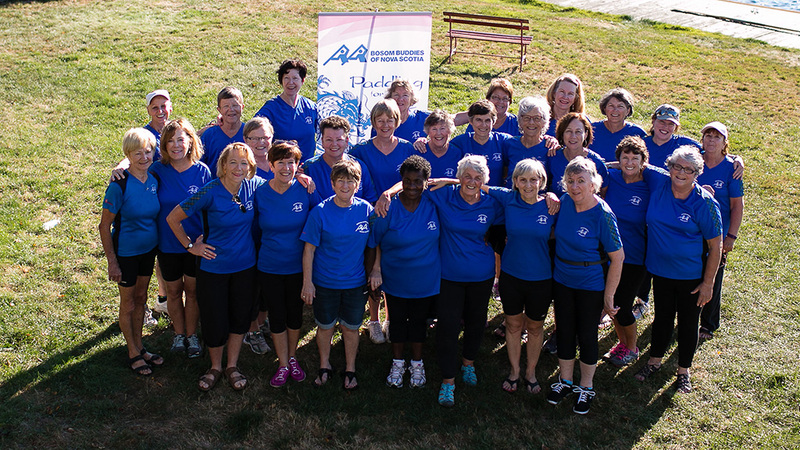 Bosom Buddies is a group of women in Nova Scotia, living with breast cancer, who have decided to go against traditional thinking and become real examples of life after breast cancer. Following the lead of the original Abreast in a Boat team in Vancouver, they have formed a dragon boat team, which they hope to race in festivals throughout Canada. But this isn’t only about paddling. Bosom Buddies is about educating people and letting them know they can make a difference. This is a story about a wonderfully positive response to a deadly disease. Most companies employ large numbers of women and one in nine of those women will get breast cancer in their lifetime. No one can ignore the statistics, but awareness about the quality of life after treatment needs to be raised. Bosom Buddies is trying to raise this awareness in the best possible way – by living their message. Breast cancer can affect anyone, young or old, but THERE IS LIFE AFTER BREAST CANCER – active, fun, powerful, upbeat, vigorous life. We are a 100% volunteer-based organization with a group vision to raise breast cancer awareness so that we can eventually find a cure and help people who are living with this disease.